For a week in November, organizations in more than 100 countries stage talks and seminars to celebrate Global Entrepreneurship Week (GEW) to bring together business founders to share their stories to inspire others to try the path of entrepreneurship. Started in 2008, GEW was initiated by Kauffman Foundation to promote the valuable role of entrepreneurs in society. 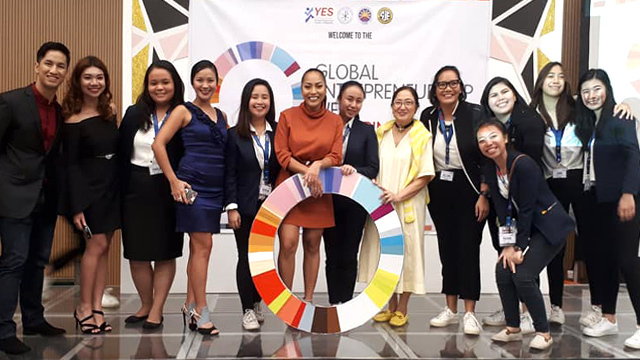 The Young Entrepreneurs Society Philippines (YES) brought GEW to the Philippines in 2013, collaborating with schools and organizations to hold conferences where eminent entrepreneurs can share their experiences and lessons with others, especially the youth and students. 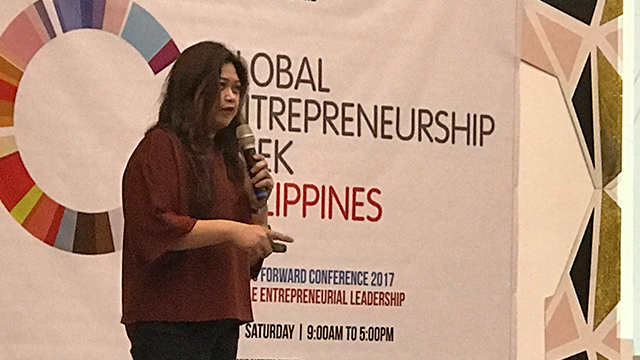 This year’s GEW Conference, held in Miriam College in Quezon City last November 18, featured several young entrepreneurs as speakers, including Hershey Hilado of Ohmagosh International, Celia Alamo-Jacob of Brownroots, Beyond Properties founder John Michael Lu and Vela Manila’s Maura Alvero. The following are some key takeaways from their talks. 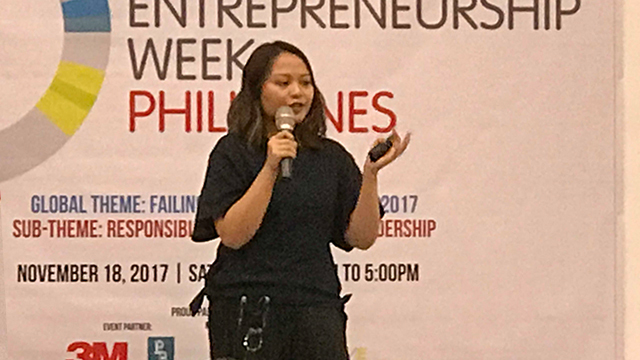 Hershey Hilado successfully launched her own retail startup Ohmagosh when she was 25 years old. That may not be remarkable in itself as entrepreneurs keep getting younger and younger, but her journey getting to that point is truly extraordinary. At 16, Hilado was forced to marry and was sexually assaulted by her former husband during the course of their relationship. She fled from her partner at 21, and was left homeless for a year until she was reunited with her family in Batangas. It was during her early 20s when she moved to Australia to start a new life. There, she had the opportunity to take classes that helped her run different business ventures. Today, Hilado owns a textile and manufacturing business and has moved back to the Philippines for good. For a decade, Celia Alamo-Jacob served as an advertising executive in an ad and events agency in Qatar. She was a loyal employee but when she left the company, her former employer made life difficult for her, to the extent of having her jailed for five days on false charges. 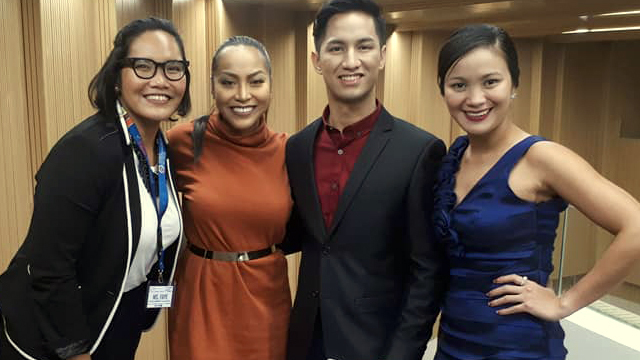 Having had enough of working overseas, Jacob came home to the Philippines in 2013 and focused on a t-shirt making side business that she first put up while still in Qatar called Brownroots. While most of his classmates played online games or attended parties during their free time, John Michael Yu was busy making a living in college. After attending his classes at the University of Santo Tomas, Yu would clock in for his shift at a nearby fast-food chain to help himself earn on the side. On top of his part-time job, Yu was also actively seeking for more side hustles—from buying and selling gadgets online to opening a small spices factory. After spending four years of sideline work and studies, Lu graduated with a Bachelor of Science in Entrepreneurship degree and earned his first Php100,000. By the time he turned 21, he had purchased his first property, earned his first million and was operating two different businesses. Maura Alvero was in college when she started her retail brand, Vela Manila. While sorting through her friend’s closet, she was surprised to find a beautiful bayong bag that piqued her curiosity. She wondered why such beautiful designs weren’t widely available. After months of research, she found a supplier from Mindanao who helped her craft the first batch of contemporary everyday bags she sold with her brand, Vela Manila. It’s been three years since her first collection was launched and her online store has since expanded to wallets, pouches and other accessories. 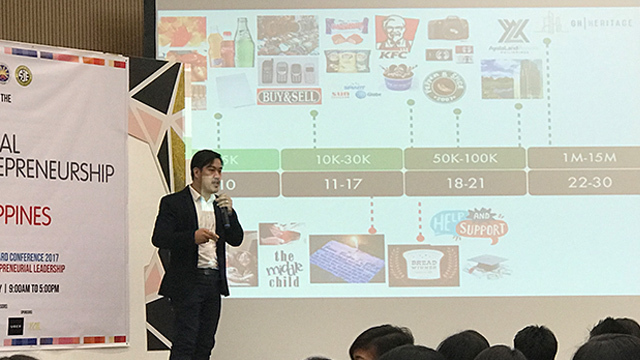 Business journalist and consultant Ezra Ferraz wrote The Finishers, the first book about the most important startup exits in the Philippines to date. It recounts not only the success stories of what are perhaps the earliest 11 homegrown tech pioneers and the challenges they’ve met along the way.